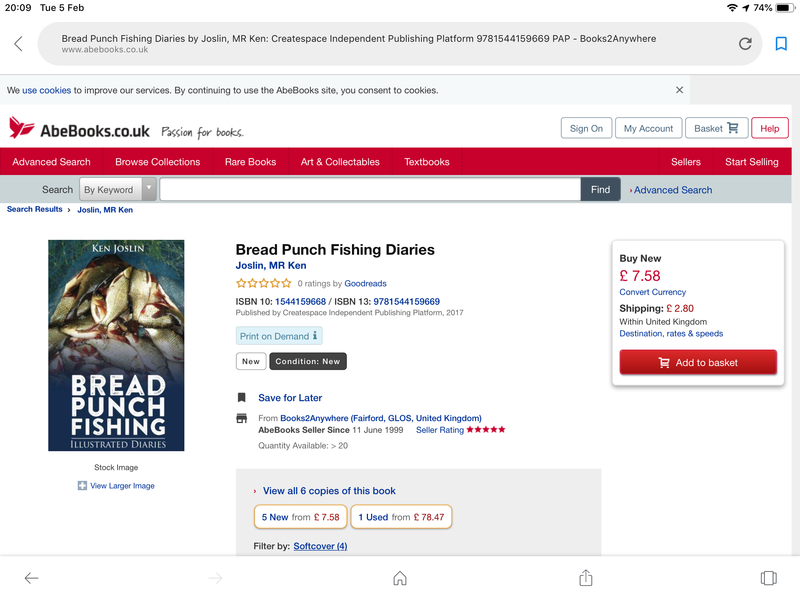 I see that Mr Ken Joslin has written a book on bread punch fishing. I wonder if any TFF members know of this book or could recommend it? Or maybe there are other options? I haven’t heard of Ken Joslin before. Thank you Walkerburt; I found the Amazon page too, by asking Google the same question. I was hoping to find any TFF members that had actually read the book or who might recommend an alternative. A good alternative is LA Parker 's book in the How to Catch them series. On roach. He also wrote another book that is even better but I can't remember the name. It contains in great detail how to fish with bread. ""This Fishing"" is the book. Fennel's book is also excellent about roach fishing. You don't have to use punched bread - lots of other ways of using bread! Many thanks Santiago and Olly. That is very helpful and I have Captain Parker's little How to catch them book somewhere in this house. At the moment I cant find it. I will also try to source This Fishing; I really enjoy the way Captain Parker writes. I love bread fishing and the way to gain confidence in it as a bait is to just take a loaf, perhaps liquidising a loaf as well or take out 6 slices for hookbait and liquidise the rest. I never got on very well using bread, I think it was just not being confident of it staying on the hook. Since reading a post on hear about microwaving a slice,rolling it out with rolling pin and using a bread punch I have had a lot more success with it especially with a cage feeder with crumb.